Our warm-up in high school for the tennis team was to run. My downhill ski coach used to make us run up the mountain with our skis as endurance conditioning. Our swim team dryland training was running. All the other guys and gals thought it was torture, just to be endured to get back to their prefered sport. I decided I liked to be tortured! Countless miles later, here I am! “I’m Shipping up to Boston” by the Dropkick Murphys. My Ironman Cozumel race medal. It was a miserable race that broke me down mentally to a place I had never been. Luckily my husband was on course and walked for miles to allow me to catch up. We crossed the line together. It reminds me that with him, I can do anything. With that said, I’ll stick to running trails. If nothing else, that race convinced me that I need dirt to be in my happy place. What is your dream race or location for a run beside the Red Hills Ramble? Someday I’d love to run UTMB. With the Army, we’ve lived all over the world, so I have so many favorites. I LOVE the Buttermilk Trail in Richmond, VA. It’s a trail on an island in the middle of the James River. Plus it’s running distance to a few breweries. It ranks up there with all of the amazing trails at Red Hills! 50K. Just long enough to feel like you are working hard, not long enough to make it feel like a chore. Every day I run over lunch at work in Livingston. A couple of weeks ago when it was super rainy, I was coming off of one of the canal trails and decided I really had to pee. I stepped off the side of the road/trail intersection and proceeded to take care of business. Unbeknownst to me, the shoulder of the path was super soft because of the rain. My foot sunk down which caused me to tumble down the small embankment. This caused me not only to pee on myself, but thoroughly expose my rear end to a couple of cars speeding by. To this day, I am really hoping none of them were my co-workers. Needless to say, I needed a shower before returning to work. Drinking wine and beer, riding/racing my bikes, reading with the hubby, hiking with my cute kid, and snuggling my four cats. 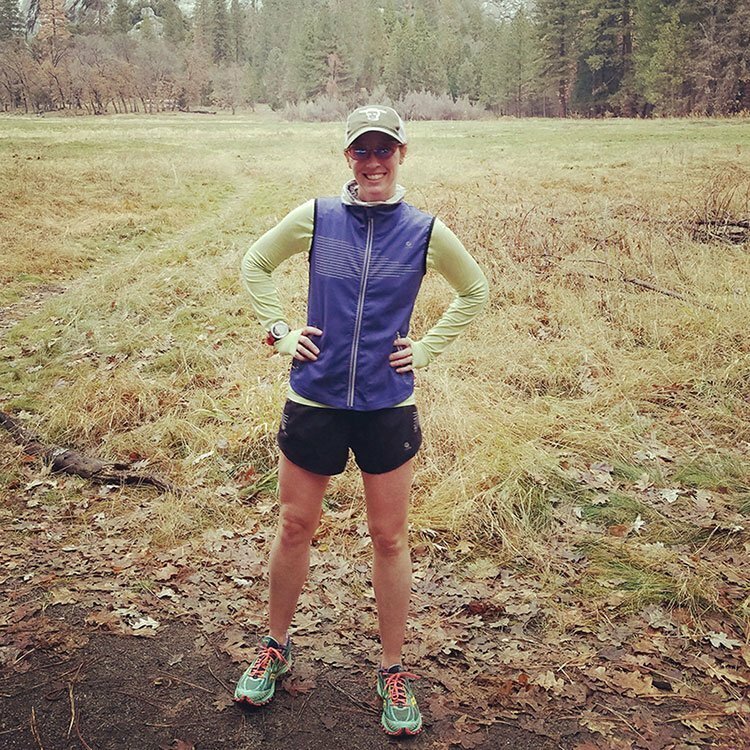 Kara Goucher and Stephanie Rothstein Bruce inspire me to be a better “mother runner.” Their devotion to clean sport and being vocal about gender equality really gets me excited about being a runner in a time like now. My real running heros though are all the amazing DB runners! 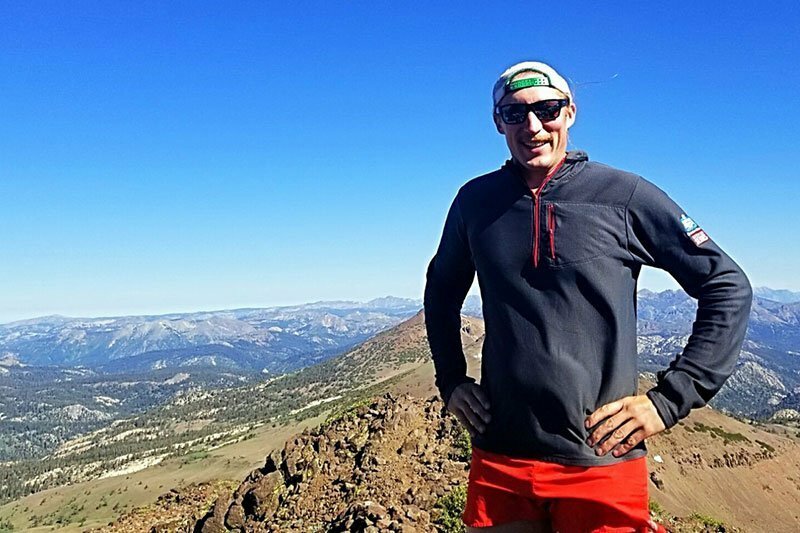 After transitioning from a collegiate cyclist after graduation, I was having trouble finding my identity as an athlete. 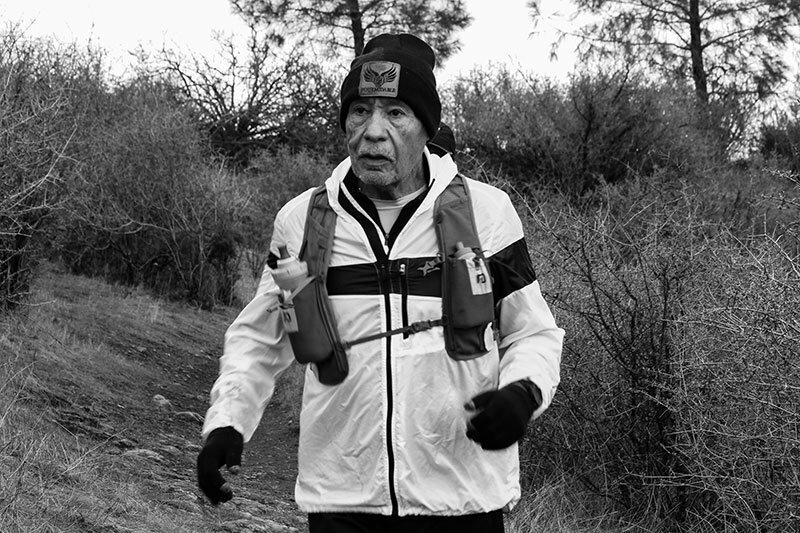 When I started to enter running races I started to find that identity again. 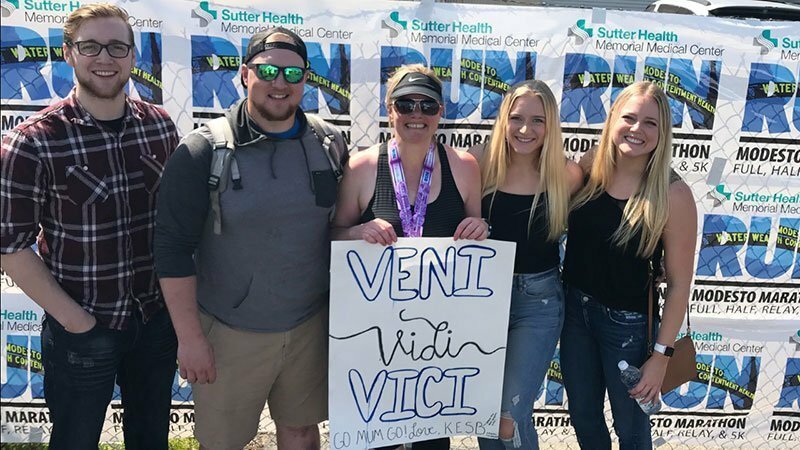 It was after completing my first half marathon that I really felt like I was a runner. 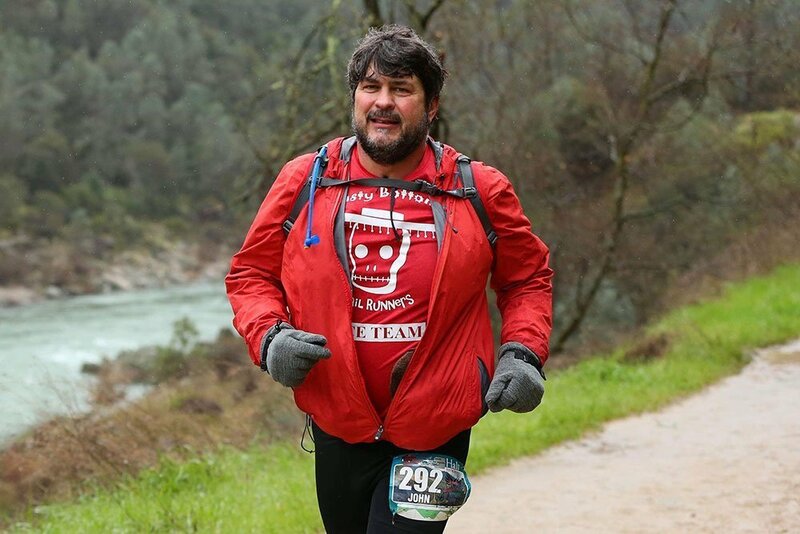 Keep chipping away at my time from the San Francisco North Face Endurance Challenge 50-miler. I’ve run it twice and would like to come in sub 10:00 hours. That course is a beast. 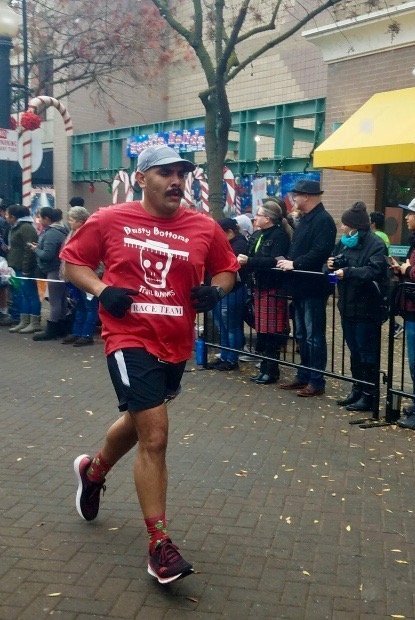 I finished in 10:30 in 2016, so I’ve got some work to put in. I’m also still chasing the elusive 100-miler. That’s like asking who is your favorite child! I would chop off my left leg for Russian River Brewing Company’s Sanctification.